Click to shop through AmazonSmile, and Amazon will donate to TCAF! Tyson's Chance Animal Foundation is a 501(c)(3) no-kill animal rescue that gives a chance to all breeds, sizes, ages, and temperaments. 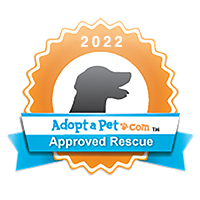 Our primary focus is the rescue of special needs animals. You can help Canines and Wine 2018 be a success! Comments Off on You can help Canines and Wine 2018 be a success! Comments Off on Sept. 14th is GiveForGoodLou! Canines and Wine 2017 this Saturday! Comments Off on Canines and Wine 2017 this Saturday!